Our mission is to build a charter school solution that addresses unmet student needs. We'll build and grow sustainably, while always questioning the old way of doing things. We'll know we're on track when more than half of our students enroll due to world-of-mouth referrals. We are a team that is forward-thinking, adaptable, and always furthering to improve our program and student education through growth and learning while using positive mindset. We strive to develop real life skill sets while following the standards of an excellent academic. 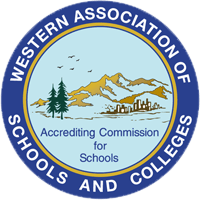 The Accrediting Commission for Schools, Western Association of Schools and College (WASC) has granted Method Schools grades K-12 accreditation through June 30, 2024. The Accrediting Commission for Schools, WASC, extends its services to over 4,500 public, independent, church-related, and proprietary pre-K–12 and adult schools, works with 16 associations in joint accreditation processes, and collaborates with other educational organizations. Everyone. ACS WASC accreditation is a valuable service to the public, students and educational institutions themselves. Jessica has a track record of building schools that are forward-thinking, high-performing, and often unconventional. She is particularly experienced in building online and blended learning charter schools and has a passion for improving K-12 education through new and innovative models and concepts. Jessica holds a BA in English, an MA in Educational Leadership, and holds Ph.D. in Curriculum and Instruction from New Mexico State University. When I was in my 20s and living in the south part of the City of Boston I ended up with a gun pointed at my face one night, and I learned a valuable lesson from the experience: Don’t waste time selling to people who don’t want your stuff. Don’t sell ideas, products, services, etc. to people who might stick a gun in your face. At best, you’ll be wasting your time. It’s easier to ride with a partner, so get a good one, know your role, and nail it. Focus on the outcomes, not the inputs. But understand the inputs required to get the desired outcomes. Appearing to be busy doesn’t mean you’re effective or successful. Always understand what the numbers are and what they mean. Know why and how people use your product – it might be different than you think. Do what you love – you’ll do a better job and people will benefit more from it as a result. If you have a hard time with change, change that part of you first. Jade is a veteran teacher with several years of experience in both traditional and charter schools. She has experience working with students at all grade levels and finds the greatest satisfaction from helping struggling students succeed. She studied English Literature at UCSD before pursuing her teaching credential and has her Masters Degree in Teaching and Education. Operations Lead, Biology, Careers Ed. Steve brings both teaching and administrative experience through his many years in charter and traditional schools. He is passionate about organizational development and student success. Steve studied Biology at San Diego State University, focusing on Marine Biology, and received his Master's Degree in Educational Leadership. Elizabeth has several years of experience working with K-12 students. Her academic background includes both Counseling and Science. Coming from a family of Scientists, Elizabeth has a deep appreciation for Science and genuinely enjoys sharing her enthusiasm for the subject with her students. She is a 4th year Associate with the Earthquake Country Alliance; an Organization responsible for Earthquake Preparedness Education, most notably “The Great Shakeout”. Elizabeth is also an invited member of Kappa Delta Pi, an International Honor Society in Education. She holds a Masters of Arts in Teaching along with a Multiple Subject Credential, a General Science Credential, and a Geoscience Credential. Patrick comes from a family line of educators: both of his parents, his brother, aunt, and uncle are all teachers in southern California. Even before teaching, Patrick spent most of his youth on the soccer field. From AYSO as a youngster through three years of Varsity in high school (and Captain senior year), Patrick is no stranger to leading teams to success. For the past six years, Patrick had been a resident substitute teacher, requiring a "jack-of-all-trades" approach to both what and how he taught his lessons on any given day. Patrick is highly adaptable, quick to learn, and holds the highest academic and behavioral expectations for students. He received his Bachelors in History from UCR and is currently working on his MA in Education and credential in secondary History from the University of Phoenix. Rachel attended California State Channel Islands and received a BA in English. She then moved around the country with her husband, a member of the US Navy, and picked up a masters degree in education from Old Dominion University in Virginia. Mrs. DeSena is certified to teach language arts in both VA and CA but she is happy to be back in her home state teaching at Method. She has three daughters and six chickens to keep her busy at home. If you ask her about her favorite food she might tell you pizza one day and crispy tacos another day, it depends on her mood. Sabrina has attained her B.S. degree in Child Development emphasis of Elementary School Teaching and a multiple subject teaching credential from National University. Sabrina has years of experience working as a teacher as well as a lead academic advisor for Orange County schools. Her versatile experience in and outside the classroom has given her leverage on how to build student interventions, encourage academic growth, and promote challenge for high achievers. Sabrina enjoys collaborating with parents to build a community between home and school for the success of student learning. Sabrina enjoys spending time with her husband, two energetic sons, and her lazy yet adorable dog. Her hobbies include traveling, hiking, water sports and having BBQs. Dalton Hunkle was born in Huntington Beach, California. Upon high school graduation from Murrieta Valley High School, he received a Division I Football Scholarship to attend California State University, Sacramento. He earned his Bachelor’s Degree in Sociology. He is currently completing a Masters in Education. Dalton views teaching as a calling and has experience in working with students and athletes of all ages in education for over two years. He believes an education should empower a child and help him or her make a positive contribution to our world. Dr. Krejcir is the Founder and Director of a 501.3c, a non-profit that does education training in third world countries, a postgraduate level researcher, and general science nerd. He is also the author of several books and an educator. And most important, husband and father. He is also a graduate of Fuller in Pasadena, California and has a Doctor of Philosophy from London, England (Ph.D.). He loves helping young minds learn! Nicole was born and raised in Murrieta. She graduated with her B.A. in Psychology from California Baptist University. When she's not working she is hiking, biking, or with her 2 dogs. She loves traveling the world and has lived in Salamanca, Spain. Psychology is one of her favorite subjects and aspires to grow in that field. She loves playing softball and taking trips up the coast of California to watch her favorite baseball team, the San Francisco Giants. Kim is a 2015 graduate of the University of California, Riverside with a degree in Asian Studies and Anthropology. 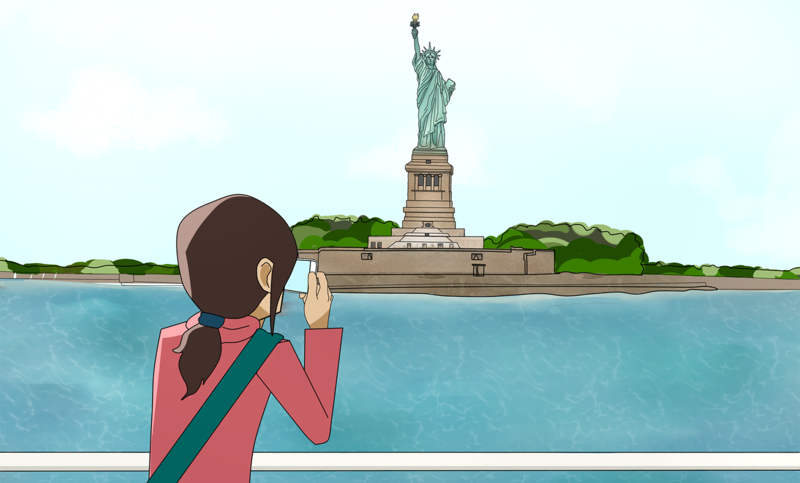 Her adoration of traveling, education, and cultures has lead her to take part in various opportunities such as an assistant language teacher for the JET program (Japan Exchange of Teachers), studying abroad in Ghana and Japan, and multiple volunteering opportunities which includes Maji Mazuri Centre International in Kenya and the Nikkei Youth Network in Japan. She has 5 years experience working with K-12 students, 1.5/5 of those years involves her working for Method Schools in the past. At the moment, she is working on the prerequisites to enter a teacher credentialing program while at the same time saving for her next adventure. Grace received her B.A. in Education from UCI, her M.A. in Education from Pepperdine University, and an M.S. in Educational Leadership from Pepperdine University. She has worked with LAUSD elementary schools for 5 years, 8 years with the Torrance USD for high school, 5 years with online charter schools. Amy spent the past 21 years overseas. The first 5 years living in Keflavik, Iceland and the last 16 living and working in Southern Japan. She holds a B.A. in Marketing and Business Admin. Later returned to school to acquire an elementary education teaching credential after spending many years coaching youth soccer and substitute teaching. She worked for the last 7 years in the Department of Defense Education Activities school in Sasebo, Japan. She loves traveling and spending time with her family. Besides reading, she has a strong love of cooking and trying new cuisine. She believes in every child lies the ability to shine and succeed no matter their circumstance. Lydia was born in Orange County, California. She graduated from Rancho Verde High School in Moreno Valley where she was the captain of her volleyball and softball teams. She has also worked with elementary and middle school students within the Moreno Valley and Val Verde District prior to joining the Method Team. She is currently in the process of earning her degree in Psychology and plans to become a teacher. For the 2017-18 school year, our students decided to partake in the Kindness Challenge. Four different classes consisting of 3rd-12th grade students came together in pursuit of two different pathways to answer one essential question: why does kindness matter?